This is our complete Sekiro controls guide, covering the PS4 and Xbox One versions of the game. Sekiro: Shadows Die Twice is a difficult game, there's no doubt about that. 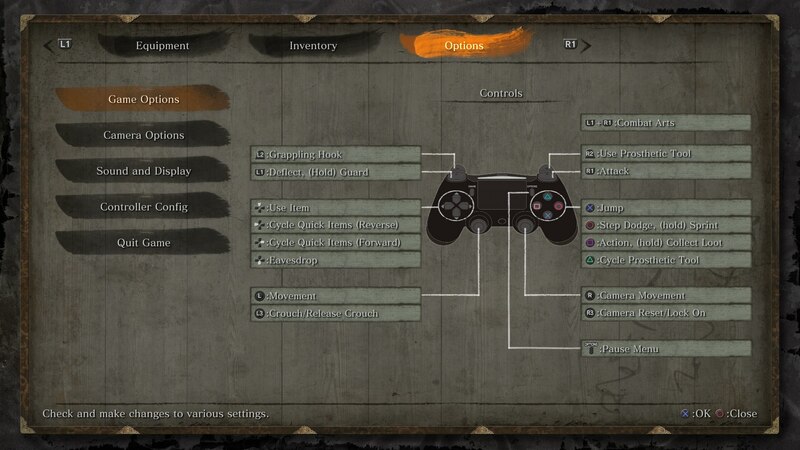 It really pays to always know which buttons do what, in all situations, and so in this Sekiro controls guide, we'll be going over the button layouts for both the PS4 and the Xbox One versions of the game. For those unfamiliar, Sekiro: Shadows Die Twice is an incredibly fast-paced stealth-action game, riffing on the established Dark Souls formula that shot From Software to fame. In the sections of the guide below, we'll be going over the controls layout for Sekiro on PS4 and Xbox One.